Hello, my dear friends. It is time for a wonderful giveaway. This time it is for FlipHTML5 flipbook software. It is exclusively for the TechnoGiants readers, every valuable reader can get a three month platinum plan worth $ 75 (covering Windows and Mac versions). We are pleased to announce that this flipbook software provides the free cloud publishing platform for all visitors to create the online content. Just join us now to be the platinum users. Now the interactive content is popular among the publishing and marketing industry. Flipping book becomes hot as it renewed the content digest method. A large number of flipbook software are designed to help the publishers win more target readers or expand the new market. 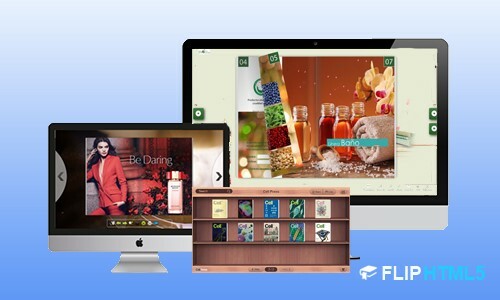 Therefore, FlipHTML5, the leading professional flipbook software, aims to open the market and improve the brand awareness here. What can FlipHTML5 help you do? As is mentioned before, FlipHTML5 provides the all-in-one solution for all walks of life. With the powerful functions, FlipHTML5 has already been the killer tool for content marketing and social marketing. FlipHTML5 provides the desktop software and online platform for the users. Both of them can help to convert the pre-designed PDF/ images into page flip book-like publications in minutes. It is no coding and no need to know about programming. Everything you need to do is click to import the PDF/images; FlipHTML5 will do the rest for you. 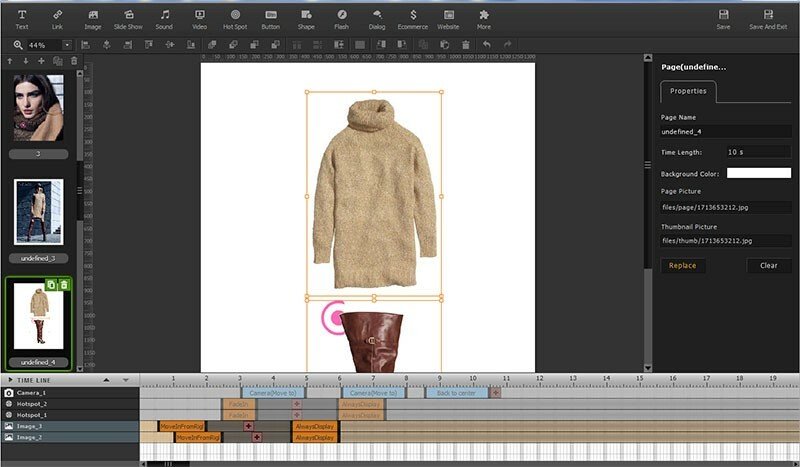 FlipHTML5 provides a great number of pre-designed materials for the users. After importing, you can design the details in your style. There are templates and themes with different button layout for you. You can choose the best one to make your flipbook looks more attractive. Of course, you can use your own image as the background. For the details setting, such as the font, color and button hide/display, you can adjust it to your flipbook in the custom settings. The static content is not attractive enough to keep the visitors on. Thus, FlipHTML5 flipbook provides the page editor and animation editor for the users to enrich the content. With the page editor, you can arrange the pages, add new pages or delete the original page. 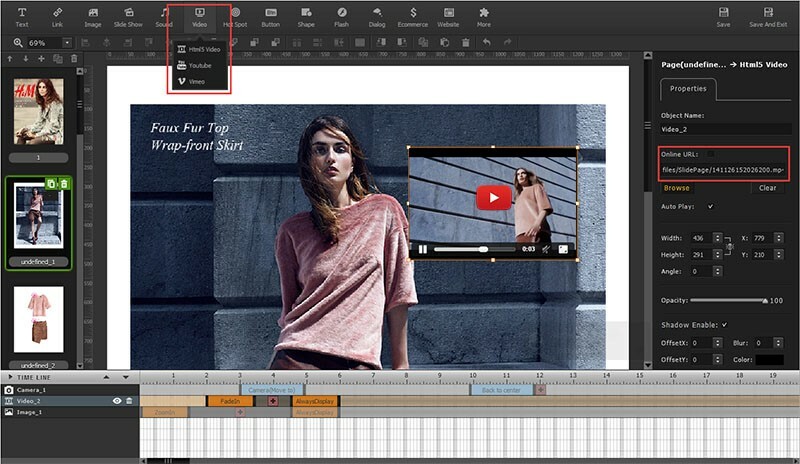 With the animation editor, you can add the videos, audios, flash, links and slide shows etc. to enrich the content. Also, you can achieve the animation effect to those added objects. It is an effective way to engage the visitors. Considering the different needs of users, FlipHTML5 flipbook software allows users to publish the interactive flipbook in multiple ways. For local publish, FlipHTML5 enables you to publish the book-like content as HTML, ZIP, EXE, Android App and burn to CD/DVD. You can also save it as Plug-in. For online publish, you can upload into your official website with FTP server, or upload into FlipHTML5 cloud platform. It is also possible to directly email to friends and subscribers. FlipHTML5 online platform is for everyone. You can publish the flipbook here, manage the flipbooks and get the access statistics online. Also, FlipHTML5 provides you a realistic bookcase to store and manage the content. You can delete the flipbooks if it is expired for your readers. One of the outstanding features for the online platform is that users can sell the published flipbooks online. FlipHTML5 can help to protect the content with password security. Only the one who knows the password can access to read your books. All the published flipbooks on FlipHTML5 cloud platform is mobile friendly. Readers can access it with mobile devices at any time they want. Also, they can share it with friends via social networks, such as Facebook and Twitter. 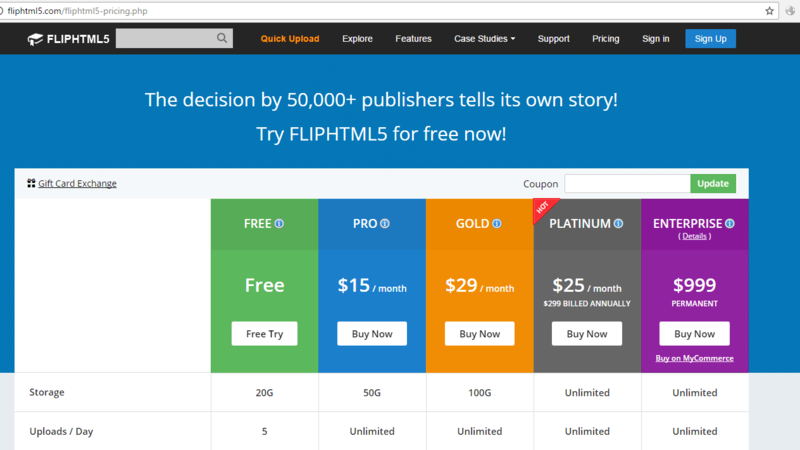 How to get FlipHTML5 Platinum Plan Giveaway? The license code should be activated before May 9th, 2017. I am really thankful to Elina ANN, who provided me an opportunity to provide this great giveaway in-front of my TG readers. How to Get the Most Out of Your Hiring Software?